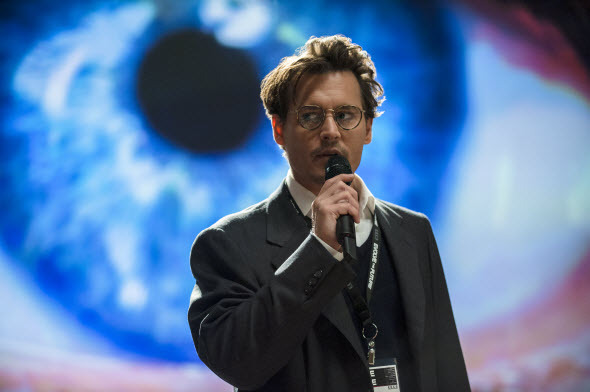 The upcoming Transcendence film, which is going to show us the power of artificial intelligence and human emotions, got the second official trailer yesterday. New video demonstrates the main actors of the thriller, tells about its plot and teases some extremely intensive moments. Transcendence film tells about a scientist - Will Caster, - who researches the artificial intelligence and wants to create the computer that is not only sentient, but also is able to feel. He is a well-known person, and so has the fans and the enemies. The extremist gang attempts on Will's life, and to save the intelligence of the famous researcher, his wife and best friend decide to connect his mind to the machine he created before. But was it a good idea? How the world may change, if there is a machine that has an unlimited power? The main role in the upcoming Transcendence film will be performed by Johnny Depp, and also here you will be able to see Rebecca Hall, Morgan Freeman, Kate Mara and Paul Bettany.